2011 has been a challenging year for the TV industry. Sluggish consumer demand in developed regions, like North America, Japan and Western Europe, has led to poor profitability on the part of TV set makers and panel makers. With supply chain inventory problems persisting well into mid-year, many TV brands cut back on their shipment plans for 2011 and reduced panel orders in Q3, which resulted in larger price declines for those core panels. The upside for consumers is more attractive retail set prices during the upcoming holiday season, particularly during Black Friday in the U.S. According to the latest figures published in the DisplaySearch Advanced Quarterly Global TV Shipment and Forecast Report, total TV market shipments were up 3.7% Y/Y in Q3’11 to 62M units, a 12% increase from Q2’11. This marks a healthy rebound from the 1% Y/Y shipment decline in Q2’11 and weak 1% Y/Y gain in Q1. However, orders for LCD and plasma panels used in the production of TV sets were both down in Q3’11, resulting in a somewhat lean inventory situation towards the end of the quarter. Many suppliers have taken a conservative approach to inventory for the holidays. Therefore, if demand is better than expected, there may not be much slack in the supply chain to fulfill restocking orders. This could potentially lead to some product shortages. Horizon Battery Offers Affordable iPhone Battery Case - With the release of the iPhone 4S and millions of new 2-year service agreements with wireless carriers, it makes perfect sense to protect the iPhone with a case. Adding an invisible, slimline battery to the case for about the same price is a no-brainer. The Ansmann iPhone Battery Case is the answer. 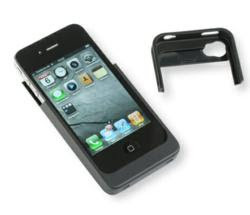 For a few dollars more than a quality protective case, iPhone 4 owners can consider an integrated iPhone Battery Case from Horizon Battery. This sleek, powerful battery case boosts the internal battery life by more than 70% and provides the “smart phone warrior” with extended use time and less charge time. For those who virtually “live” on their iPhone, the Ansmann iPhone battery can case lasts for a days - without the need to recharge. The more "occasional" user benefits too --since all the iPhone 4S updates, including the new “Siri” feature, increase network access – and battery usage. Obviously, battery cases for mobile phones are by no means a new idea. The trick is to find quality without spending as much as the phone itself. Make sure the warranty outlasts the phone's 2-year service agreement. The Ansmann iPhone Battery Case includes a no-nonsense, 3-year replacement warranty. 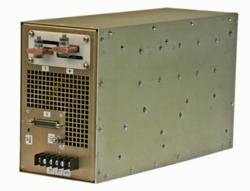 Behlman Manufactures Two COTS Power Supplies to Support the US Navy Electro Optical Sensor System - Another example of Behlman form-fit-function expertise meeting stringent MIL-STD requirements with off-the-shelf power systems. Behlman Electronics Inc., is well known for manufacturing a wide range of Commercial Off The Shelf (COTS) power supplies and having the engineering skills needed to modify them for form, fit and function to meet requirements of even the most unique and demanding applications. Behlman is now supplying their Model 94036 and 94037 COTS power supplies for the U.S. Navy’s Electro Optical Sensor System (EOSS). The Behlman 94036 and 94037 use the same state-of-the-art Printed Wire Boards (PWBs), with modules configured in either series or parallel to supply 28 VDC or 60 VDC outputs. The units operate from 115 VAC 3-phase DELTA, 60 Hz ship’s power. They feature low ripple and noise; line and load regulation; and protection for over voltage, over current and over temperature. Both models meet the requirements of MIL-STD-1399, MIL-STD-810D, and MIL-STD-461E. Global 3G/3.5G Subscribers Are Projected to Reach 4.27 Billion by 2017, According to New Report by Global Industry Analysts, Inc. - GIA announces the release of a comprehensive global report on 3G/3.5G markets. The global 3G/3.5G market is projected to register 4.27 billion subscribers by 2017, primarily driven by factors such as growing consumer demand for high-bandwidth multimedia services, increase in adoption of 3G enabled mobile phones, and continued roll out of 3G networks in developing markets. Robust demand from emerging markets also augurs well for the market. Follow us on LinkedIn – As consumers purchase more mobile devices and explore applications such as social networking, mobile enterprise, and entertainment, the need for additional network capacity and speed will grow exponentially. Also, increasing volumes of high-definition content, VOD and other personalized video services, and increasing volumes of data that are being transmitted through communications networks would necessitate greater bandwidth requirements. Continued transition from fixed to mobile services with users dumping their landline service to rely solely on mobile phones also puts additional strain on communications networks. These new developments in the communications industry provide a strong business case for high-speed networks such as 3G. Europe, Asia Pacific and the US are progressing towards integrated mobile applications such as mobile commerce, mobile payments, mobile wallet, e-education, mobile health services, and on-the-go music and video. Integrated applications provide an impending source of revenues for operators where voice revenue growths are flat. Operators endeavor to setup a source of recurring revenues with innovative services deliverable through 3G-infrastructure. Integrated applications such as mobile TV provide opportunities for advertisements and potential revenues. Customer centric features of such applications include enhanced user control and personalization of content. Data revenues from mobile applications are expected to exceed revenues from voice service, which is typically considered as ‘cash cow’. Headphone Manufacturing Market Research Report Now Available from IBISWorld - In the five years to 2016, the Headphone Manufacturing industry will echo a rebound in economy-wide consumer spending, according to a new report from IBISWorld, the nation’s largest publisher of industry research. The US Headphone Manufacturing industry will also benefit from the continued adoption of MP3-enabled cell phones, with in-ear headphones becoming increasingly popular during the past five years. Nevertheless, the industry will continue to have trouble as import penetration increases. Furthermore, the rising price of commodities, including plastic materials and copper, will limit profit growth during the next five years. According to IBISWorld, revenue from the Headphone Manufacturing industry in the US has declined in the five years to 2011. A decline in consumer spending and fast-paced offshoring has caused a steep revenue reduction for the industry, affecting industry operators like the Bose Corporation, headquartered in Framingham, MA. According to IBISWorld, revenue for Bose's headphone segment is expected to decline at an over the five years to 2011. Bose manufactures auto sound systems, home stereo speakers, music systems, PC sound systems, headphones and professional loudspeakers. Despite an overall decline, headphone manufacturers have taken advantage of some key trends during the past five years. In-ear headphones have increased in popularity as MP3-enabled cell phones have become more ubiquitous. Headphone companies have also increasingly relied on marketing and brand development, using celebrity-endorsed products to promote sales. This trend, coupled with rising consumer expenditure, is expected to boost industry revenue in 2011. According to IBISWorld, despite an increase in consumer spending, headphone manufacturers will continue to move to countries where labor costs are low. US manufacturing has long been vulnerable to cheap imports and the establishment of facilities in countries where labor costs are lower. As advancements in technology and transportation have made it cheaper to transport goods, the propensity for US firms to outsource manufacturing in order to focus on marketing has heightened. All New iPad 2 Keyboard Case Impresses - ClamCase releases the market's first all white keyboard case & stand, just in time for the holiday season. ClamCase®, the creator of the first all-in-one keyboard, case and stand for the iPad®, has announced the launch of their most anticipated model to date; the all white ClamCase for iPad 2. The accessory that has revolutionized the efficiency of the iPad is now offered in an alluring pure white. The latest addition to the ClamCase fleet arrives just in time for the holiday season and just might be the perfect present for under the tree. The iPad is the most sought after gift, and along with this year’s favorite holiday gadget, comes bundles of accessory options to enhance the iPad experience. Topping the wish-list is the latest model of the ClamCase product line. The ClamCase not only elevates the iPad’s efficiency, but the new sleek white design also gives it an extra touch of style. It's thinner, lighter and whiter. The newly released ClamCase adds an aesthetic element to a product that is inherently practical and efficient. The fresh white design perfectly compliments the white iPad 2 and continues to offer all the versatility that users have come to know and love. It features a white ultra-durable high-grade plastic shell, the signature hinge (now in white) and a scissor-action white chiclet style keyboard, creating a balance between beautiful design and the ultimate in functionality. The White ClamCase for iPad 2 will include the Bluetooth® “Easy Sync” system and an extended battery life (with over 100 days of standby). The white hard shell case includes all the necessary cutouts, which expose the back camera, headphone jack, built-in iPad speakers, and serial-port just as the previous models have offered. Sprint Samsung EPIC 4G Touch Battery Life Increased by 8% by Mugen Power - Mugen Power Batteries introduces new extended battery for Sprint Samsung EPIC 4G Touch. This new battery with extra capacity relieves the suffering of short battery life and frequent recharges. Mugen Power, leading brand of high performance batteries for portable electronic devices, today releases a new extended battery for Sprint Samsung EPIC 4G Touch (HLI-D710SL). HLI-D710SL successfully increases original capacity from 1800mAh to 1950mAh. It's designed for Samsung smartphone users, especially suitable for those heavy users, it relieves the suffering of short battery life and frequent recharges. HLI-D710SL is a Lithium-ion based battery. Lithium-ion based batteries have found widespread popularity in all kinds of consumer electronics because of their high energy to weight ratios, lack of memory effect , and low discharge when not in use. HLI-D710SL has 8% more capacity than the standard battery. It is designed to provide longer battery life with higher quality for power-hungry consumers. Besides delivering longer battery life, HLI-D710SL is also exceptionally reliable. Mugen Power Batteries are known to have lowest return rate in the industry. All of Mugen Power products have undergone vigorous QA procedures and have CE and RoHS approval. 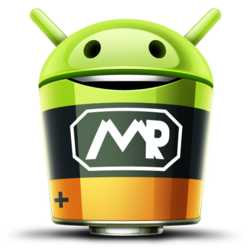 "We are proud of the ability to help our customers better utilize their smartphones by improving their batteries performance. We have always considered our customers' needs as our first priority. We are trying our best to satisfy their needs. We understand that our customers want to have smaller the size, larger the capacity. We worked really hard on this battery, and successfully fit extra 8% capacity into the original battery size. We have positive reviews from customers all the time, which encourage us to work harder." says Alice Yang, marketing manager at eTrade Asia Ltd.
NHT today announced that it will soon ship SuperPower [$199 each]: a compact, self-amplified, high end mini-speaker powerhouse designed to deliver high performance sound from any of today’s digitally connected devices, from smartphones and portable media players to tablets, video games, electronic musical instruments, home entertainment systems, and of course, desktop and laptop computers. Instead of starting from scratch, NHT looked for design inspiration from its highly acclaimed SuperZero 2.0 -- an overachieving passive mini-speaker -- and the professional series M-00 (a/k/a, the “moo”), which is a rugged 75W powered mini-monitor commonly found in top-notch recording studios. Similar to its predecessors, the SuperPower’s acoustics section includes NHT’s time-tested mini-monitor driver complement, featuring a 4.5-inch long-throw woofer and 1-inch silk dome tweeter. The drivers are acoustically suspended in a sealed box that is immediately recognizable for NHT’s trademark high-gloss, black laminate finish. New Wide 10.1-Inch LED-backlit LCD from Sharp® Ideal for Tablet Computers - Sharp Microelectronics of the Americas (SMA) announced its new 10.1-inch WXGA LED-backlit LCD (LQ101K1LY04), ideal for computer tablet applications. Sharp technology has addressed key issues for tablets, including the prevention of pooling (image distortion) that is common with touch overlays. 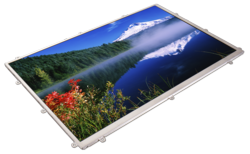 A 1280 x 800 wide resolution allows for superb viewing of high-resolution images, and a 160°/160° viewing angle and of brightness of 400 nits combine to deliver crisp images from any angle. Additionally, an LVDS interface helps ease the design process. Sharp’s product line also includes a 12.1-inch WXGA ideal for tablet computers. Other Sharp LCDs featuring the popular wide resolution specification include 3.0-inch, 5.0-inch, 7.0-inch and 8.5-inch products. All of these displays feature specifications perfectly suited to meet the rugged demands of the Industrial Application (IA) market. Sharp’s IA panels are factory-supported for a minimum of three years. They are ideal for applications including Factory Automation, In-Flight Entertainment, Gaming, Medical Devices, Point of Sale (POS) Terminals, Transportation, Test and Measurement, and many others. For details on all Sharp LED-backlit LCDs, visit sharpledlcd.com. Sharp continues its migration from CCFL-based LCD products to an all-LED backlight line-up, averaging nearly one replacement panel per month over the last year. Sharp assists customers in switching from CCFL to LED-backlit displays by helping them better understand the related technology benefits and design considerations; SMA’s online LED-backlit LCD Resources page sharpledlcd.com/resources.html features videos, “The Switch” podcast, and technical papers to aid your LED-backlit design process. New materials are periodically being added. Headphones.com and SOUL by Ludacris Team Up To Offer Free T-Shirts With Select Headphone Purchases - Leading online headphone retailer Headphones.com has teamed up with SOUL by Ludacris to offer customers a custom SOUL by Ludacris headphone t-shirt with all SOUL by Ludacris purchases. Headphones.com, a leading online retailer for headphones and headphone accessories is happy to announce that they have teamed up with SOUL by Ludacris to offer customers a t-shirt with all qualifying purchases. Any customer who purchases a SOUL by Ludacris headphone between now and December 15, 2011 will receive a custom t-shirt only available from Headphones.com. 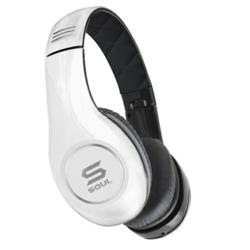 SOUL by Ludacris headphones are the latest addition to the celebrity endorsed headphone selection available on Headphones.com. Chris Bridges, more commonly known as the rap artist Ludacris, has teamed up with Signeo USA to produce this high quality line of headphones. Models available include the SL49, SL99, SL100, SL150, and SL300. The SL49 and SL99 are in ear headphones (earphones) which allow for maximum portability without sacrificing sound quality. The SL100 and SL150 are an ‘on ear’ style headphone that provide ample bass without overpowering the midrange and higher frequency sounds. The flagship SL300 model includes extraordinary noise cancelling abilities and boasts superior sound quality, comparable to headphones normally found in a higher price range. The SL300 features a comfortable headband and earpads which allow for extended undisturbed listening sessions. Birmingham: Packt Publishing, one of the world’s leading publishers of Microsoft Sharepoint books, announces the publication of its Microsoft SharePoint 2010 Power User Cookbook. As a book and eBook it provides a valuable resource of recipes walking Power Users through a range of collaboration, data integration, business intelligence, electronic form, and workflow scenarios, as well as offering three invaluable business scenarios for building composite applications. Microsoft SharePoint 2010 and Windows PowerShell 2.0: Expert Cookbook. Voltaic Launches Backpack Solar Laptop Charger - Two new solar laptop chargers, the Array and Fuse 10W, are available today. Each power up to 30 minutes of laptop runtime for every hour in the sun. Voltaic Systems redefines the meaning of mobile computing with the launch of its two new solar laptop chargers, the Array and Fuse 10W. The Array is a rugged backpack and the Fuse 10W is designed to attach easily to other backpacks and bicycle racks. Both provide ample clean and renewable power for the demands of today’s portable electronics. 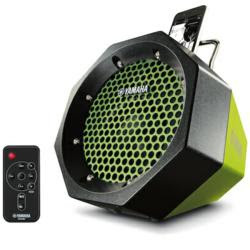 Created for workers and adventurers who travel far from power outlets, but still need to stay connected, the Array and Fuse 10W provide up to 30 minutes of laptop runtime for every hour in the sun. In addition to powering most modern laptops, they will also charge most tablets, professional digital cameras, and smartphones. When the sun is unavailable, the internal battery holds enough power to more than double the runtime on many laptops. The battery can also be re-charged from the included wall charger. Voltaic is also launching the V60 Universal Laptop Battery, which provides backup power for laptops, tablets and smartphones. Integrated into the front of the Array and Fuse 10W are three 3.4-Watt solar panels. Run times will vary by laptop, but these high-efficiency monocrystalline cells will power a MacBook Air for 30 minutes after 60 minutes in direct sun. The cells are encased in a clear, UV and scratch resistant coating, and backed by a rigid aluminum composite material. These rugged panels are waterproof and built to withstand the abuse of everyday use. Against an endless sea of iPod and iPhone docks that have flooded the market, Yamaha boldly unleashes a standout: the PDX-11 portable player dock, an entirely new product concept that delivers amazing sound quality anywhere and at a remarkably low $99.95 MSRP. Available in four eye-catching colors—white, dark blue, green and black—the battery or AC powered PDX-11 has a striking and rugged-looking octagonal horn-shaped design with a perforated steel grill designed for overall toughness. A sturdy “grab it and go” roll bar chrome handle makes it easy to take the PDX-11 anywhere you want to enjoy your favorite tunes—from the home or dorm room, to a party on the beach, the back yard or game-day tailgating. The iPod/iPhone dock is perched on the top of the unit, and music is played back via an exceptionally powerful 4-inch woofer that drives extremely accurate, kicking bass and stunning midrange, while a separate tweeter provides crystal clear high frequencies. The PDX-11 can also be connected to a PC, Mac or other digital audio player via a mini jack (3.5mm) on the back of the dock.